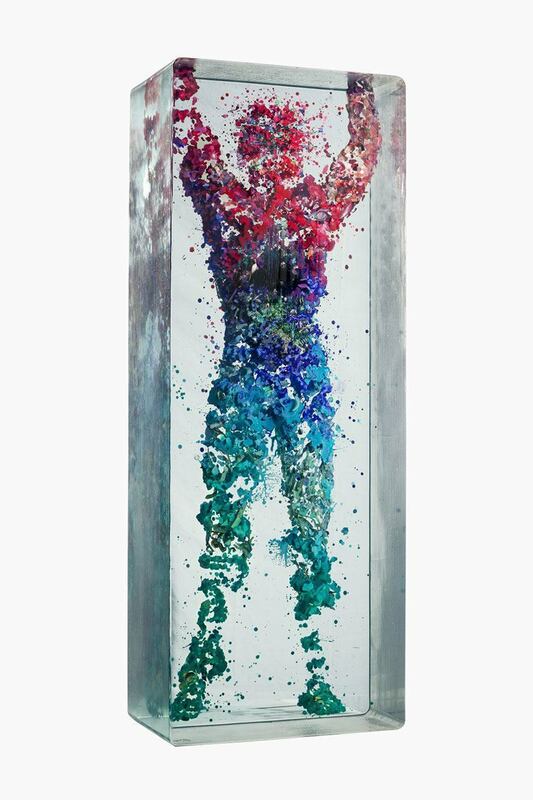 New York-based artist Dustin Yellin captures the human form in glass slides, creating beautiful window sandwiches in the process. 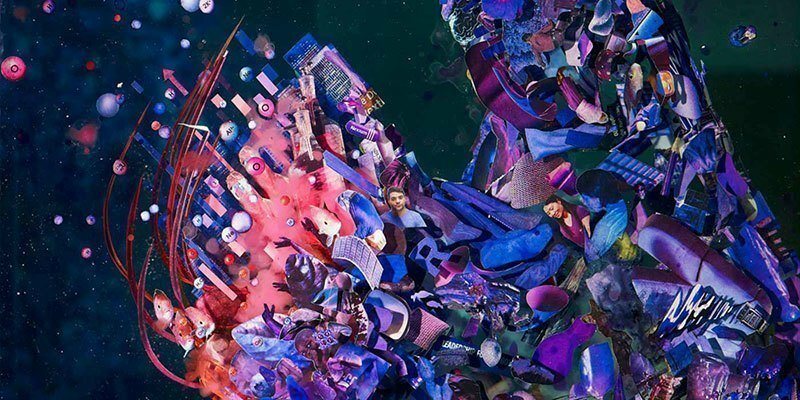 Artist Dustin Yellin calls them “window sandwiches,” but these incredible collages are much cooler than lunch meat could ever be. 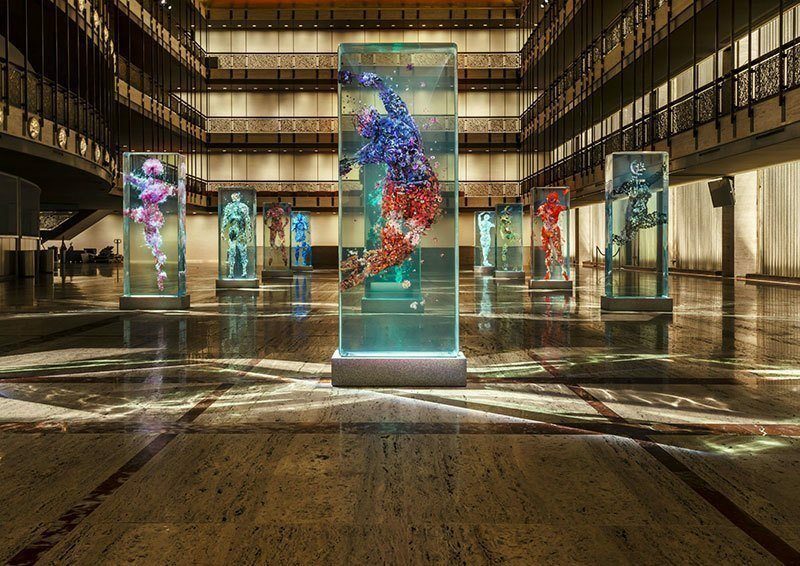 In partnership with the New York City Ballet, Yellin has created glass-encased collages that depict the body of a dancer “frozen” in motion. More than a dozen window sandwiches were recently unveiled at the atrium of the David H. Koch Theatre in NYC’s Lincoln Center. 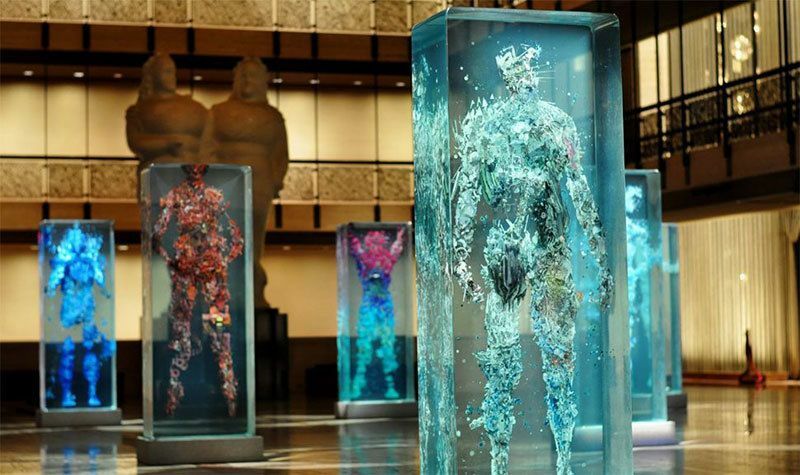 The result: breathtaking, human-like specimens trapped within glass, suspended in air for eternity. 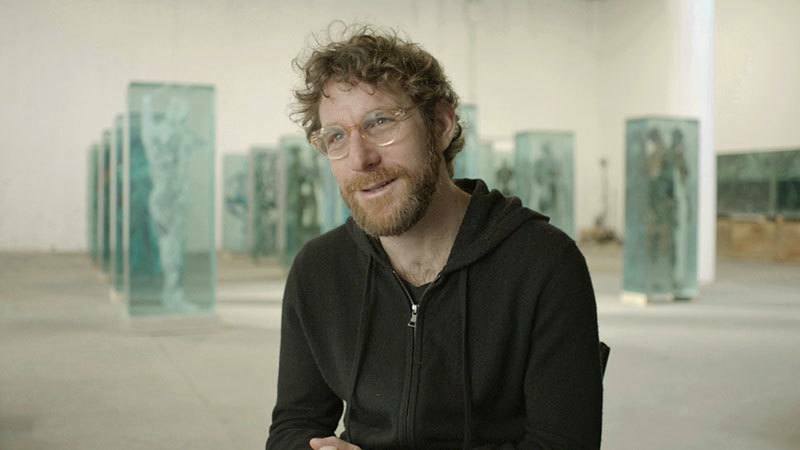 Each of Dustin Yellin’s collages is carefully constructed from a number of glass slides or “windows”. Ordinary objects—trash, cut-up encyclopedias, magazines—embellish the slides, which are then fused together to create one unified piece. 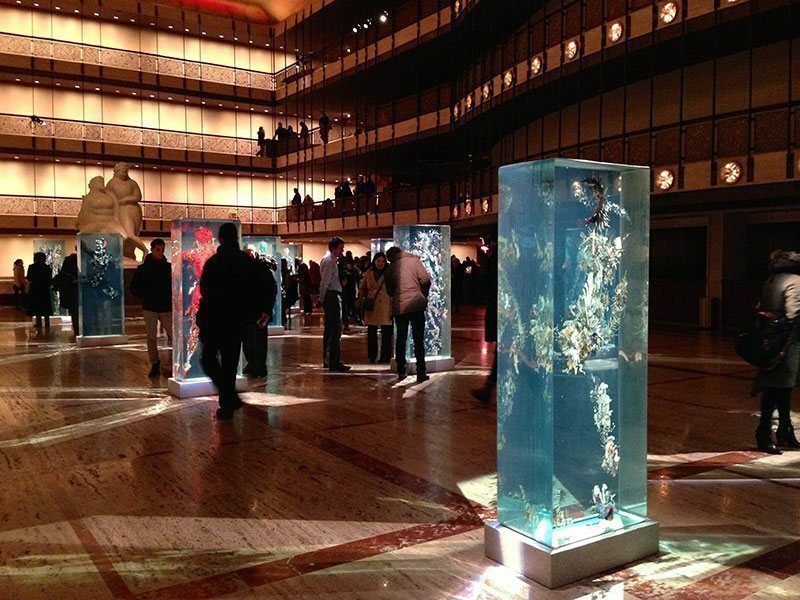 Yellin made 15 glass collages for the ballet, each weighing in at a whopping 3,000 pounds. Visitors can view the installation at all ballet performances through March 1st. 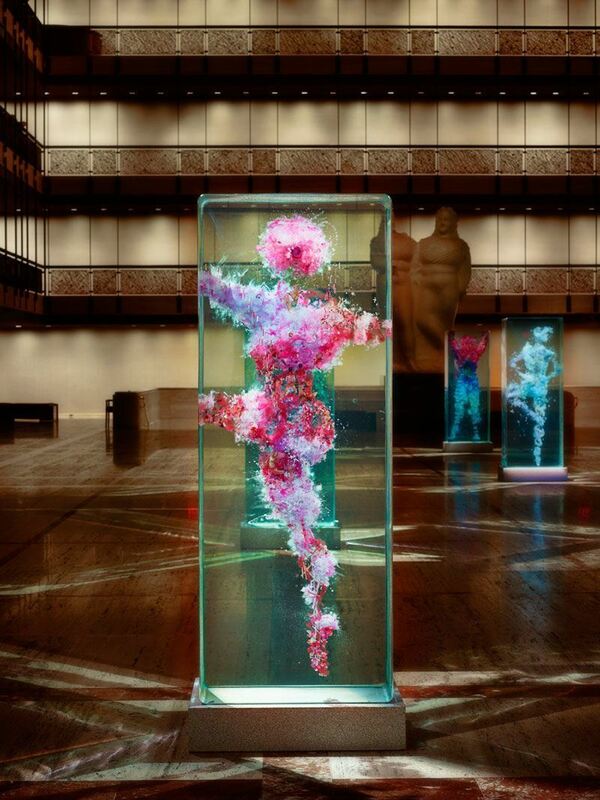 Dustin Yellin discusses his project for New York City Ballet. 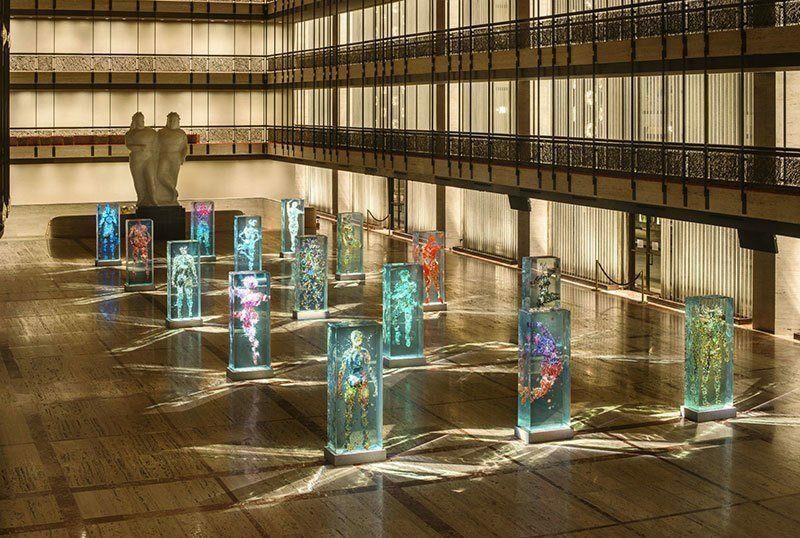 Though Dustin Yellin created these human figures specifically for the New York City Ballet, he has been making glass-encased sculptures for a while as part of a six-year project, Psychogeographies. It all started after Yellin experimented with embedding natural materials in resin. From there, he realized that he could use the atmosphere as a medium, and began creating stacked images that evoked the natural world. As you might imagine, Yellin’s three-dimensional collages have been an international hit.